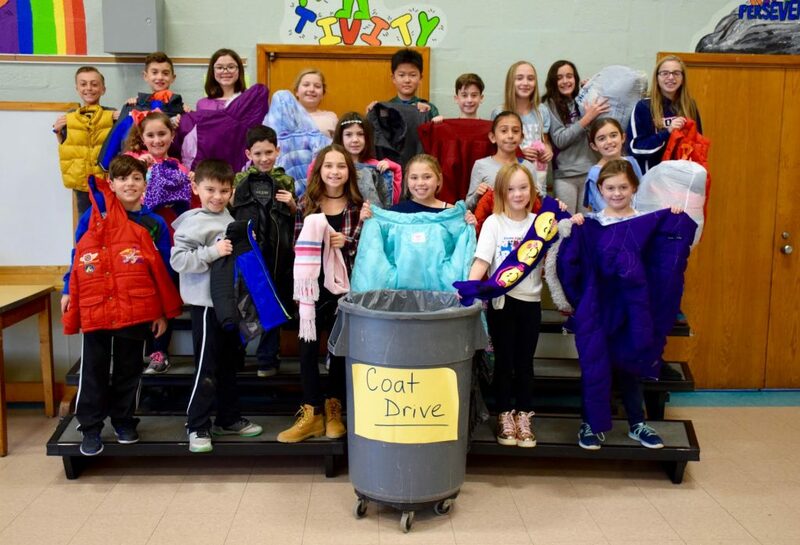 Student council members at East Broadway Elementary School recently hosted their annual winter coat drive to give back to those in need this holiday season. During the course of two and a half weeks, a total of 11 garbage bags full of coats were donated. The donations were brought to Division Avenue High School to help with Division’s own coat drive to support Keep New York Warm. The fourth and fifth grade students placed donation boxes throughout East Broadway where in addition to new or gently used winter coats, the students collected sweatshirts, hats, gloves and scarves. Photo Caption: Members of East Broadway Elementary School’s student council collected coats for those in need.